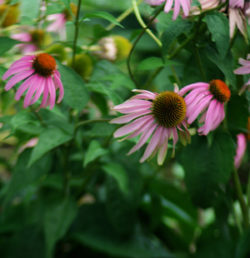 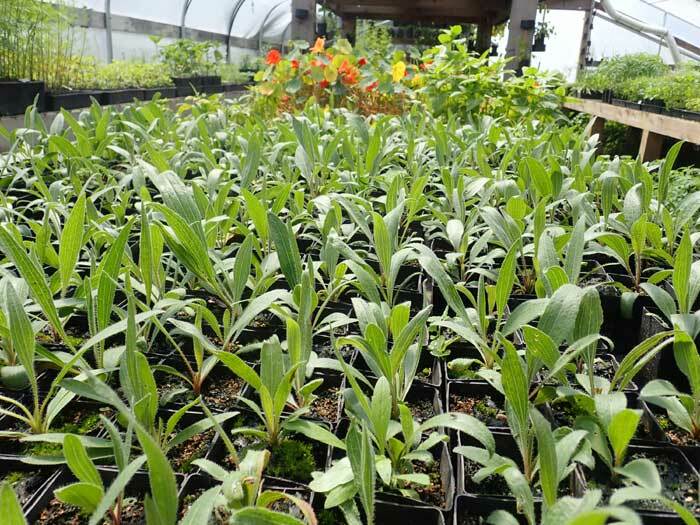 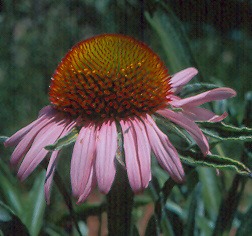 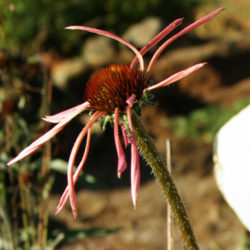 (Black Sampson, Narrow-leaved Coneflower) Herbaceous perennial native to the Rocky Mountains of North America, the most northerly ranging of all 9 indigenous American species. 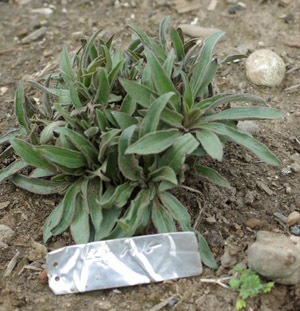 Roots in cross-section show the black wagonwheel mark that indicates powerful activity. 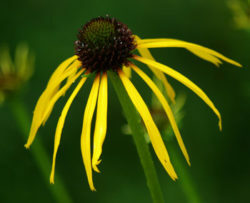 Many herbalists prefer this species. 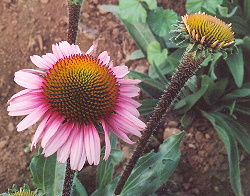 Plant prefers full sun and dryish, alkaline soils. Space plants 6 inches to a foot apart.